The popularity of smartphones, tablets, and mobile devices has driven market demand for high-speed drilling machines, which are used in their manufacture (e.g., ventilation holes, mic input, etc.). Whether rolling out new machines or improving old ones, all equipment manufacturers seek to maximize their market share. For drilling machines, it is ultimately their quality and speed that determine the extent to which this can be achieved. The working principle of a drilling machine is to guide the horizontal and vertical movement of a cutting tool. For this, drills with a simple control core are typically suitable only for simple machining operations, and this is largely due to hardware performance limitations and poor control. Another limitation is that the programming method mainly uses the assembler language, which is cumbersome and does not support the more common G-code format of NC programs. These problems can make it difficult to satisfy the needs of the CNC machining tool market. For drilling machine manufacturers to remain competitive, they will inevitably need to replace any outdated systems with control platforms that perform better and a programming environment that is more flexible. 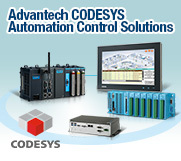 Advantech's APAX/CODESYS integrated software/hardware solution can solve these problems. The APAX series control platform is equipped with the automated control software CODESYS, providing a high-performance solution with excellent stability and processing performance in complex motion control applications. For equipment manufacturers, this means improving machine performance while expanding the range of product offerings. A Swiss machine supplier specializing in high-speed machining centers, drilling electric discharge machines, and other machines for precision molding and parts manufacture was preparing to upgrade its products so that it could enter the mobile device production market. The company decided to begin its upgrade with a machine for drilling hardened steel and hard alloy parts, after which it would continue to upgrade other machines once certain quality outcomes had been achieved. When performing complex interpolation movements, the blade would be prone to vibration problems, causing workpieces to burr. This limited the maximum machining speed on a single axis to only 0.8 m/min. Because of these problems, the equipment manufacturer sought a hardware/software solution that would transform this drill into a high-speed, high-precision piece of equipment. The solution had to meet the following requirements. First, to achieve complex interpolation movement and better control, the old microcontroller setup was to be replaced with a high-performance control core. Second, an automatic data storage mechanism would be need so that data would be saved in the event of a power failure. Third, the software would need to comply with the IEC 61131-3 standard in order to support multiple programming languages so that developers would have more flexibility for programming. Fourth, the CNC function library would need to meet the application needs of the CNC machining industry. Finally, the solution would need to be easy to fine-tune and integrate the architecture so that developers would be able to effortlessly replicate the system on other machines. 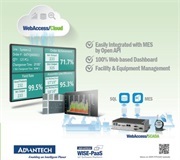 The meet the project needs, Advantech's integrated hardware/software control platform comprised two products: the APAX-5580 embedded fanless control platform with a 32-GB MSATA SSD, and CODESYS automation control software. This high-performance solution allowed the developers to leverage rich software functions on a stable hardware platform in order to perform complex 3D interpolation motion. The solution also increased the single-axis speed of the drilling machine from 0.8 to 2.0 m/min, thus greatly enhancing the production capacity. The APAX-5580-4C3AE, built-in Intel® Core™ high-end processor and Windows Embedded Standard (WES7) operating system, is an x86-based that delivers high stability and ultra-high-performance loop cycle times of 50 µs. The storage space of drilling machine was upgraded from 64 KB SDRAM to 2 MB MRAM, which is dedicated to automatic data storage in the event of a power failure, thus further improving the equipment’s stability. The PAC can connect the machine’s touchscreen panel and pulse conversion module via various I/O interfaces (USB, VGA, and LAN). It also supports the EtherCAT protocol. The automatic data protection mechanism works by regularly checking the power supply condition to prevent data loss by storing the data whenever an exception is detected. 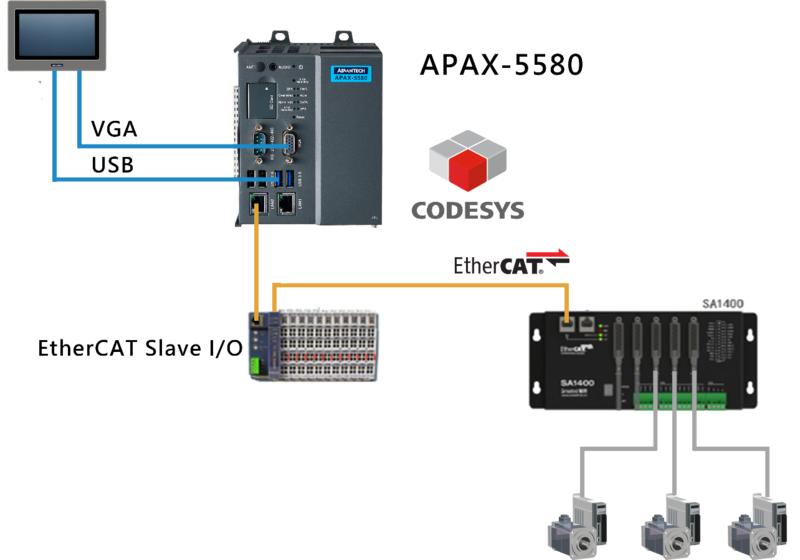 CODESYS is software for industrial control development. It conforms to the IEC 61131-3 standard and supports six programming languages. With the powerful APAX hardware control platform, CODESYS has rich motion control function blocks that allow developers to easily implement complex motion controls while ensuring system stability and achieving smooth trajectories during complex 3D interpolation motion. Its CNC function library provides an efficient tool for developers seeking to enter the CNC market. With support of G code and conversion form CAD to G code, system developers can easily design functions that conform to CNC machining application standards. In addition, when using the assembly language, each development project must be started from scratch, including the hardware planning and software design. 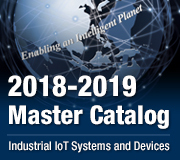 Advantech's APAX/CODESYS solution, however, provides a unified control platform that allows system designers to modify only part of the software or to simply change the peripheral devices when developing different models. This means that a different control core can be implemented, project development times can be shortened, and resource wastage can be reduced. As the demand for high-speed drilling machines is increasing, equipment manufacturers must first solve the problems of poor hardware performance and insufficient software function blocks in order to maximize their market competitiveness. 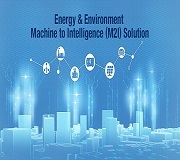 Advantech's high-performance integrated software/hardware control platform can help equipment manufacturers to improve their hardware control performance and provide a flexible software programming environment that can improve on the original performance of high-speed drilling machines. Thus, machining efficiency and drilling quality can be enhanced significantly. 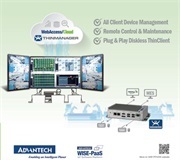 Through the easy-to-integrate system architecture, developers need only fine-tune Advantech's control platform to apply it to other machines. In this case, the manufacturer completed the first phase of project development ahead of schedule, and this reproducible process means that the same setup can be successfully applied to other machines.